FOOTBALL. 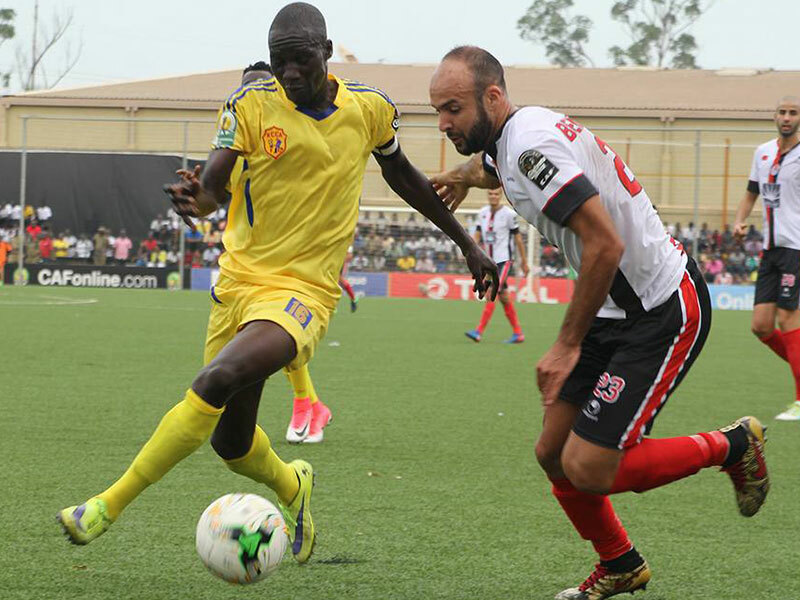 When Uganda Premier League champions KCCA and Tunisian giants Club African meet in the penultimate Group A of the Caf Confederations Cup next weekend there will not only be the quarter final qualification at stake but also the battle to top the table. KCCA and Club Africain meet at Stade El Menzah in Tunis on Sunday having both won their fixtures yesterday to go joint top of the group with nine points, but it is the Tunisian giants who will be favourites to top Group A after becoming the first team in the group to pick maximum points, away to Nigerian side Rivers United yesterday. 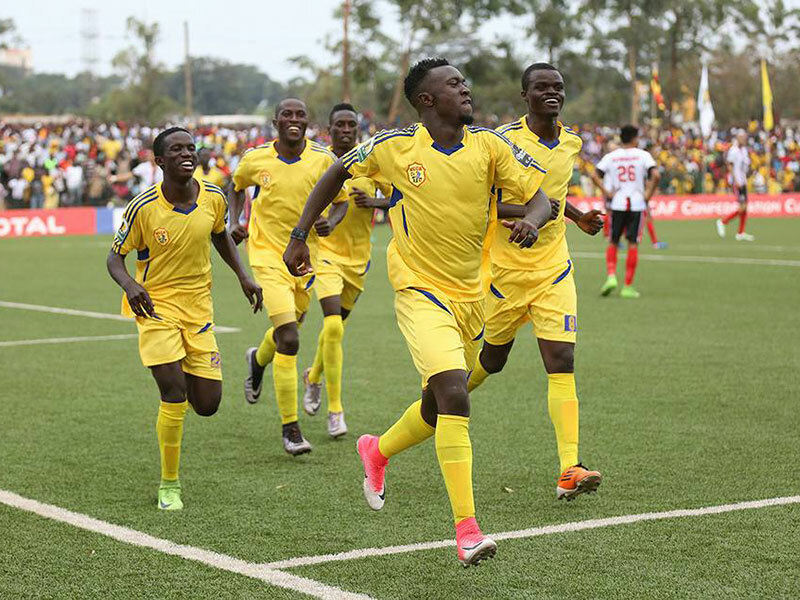 In Kampala, KCCA went into the fixture against FUS Rabat, winners of the Caf Champions League in 2010 and runners-up in the Caf Super Cup in 2011, bottom of the table albeit with all the teams separated by goal difference after each winning their home games and losing away. Nothing but a win would have kept the Ugandan champions in the run for the quarter final. Coach Mike Mutebi was primed for the showdown, drilling his stooges with the sense of attack. And the team did not disappoint at Philip Omondi Stadium in Lugogo, sticking to the tactician’s game plan to run the Moroccan visitors rugged en route to a 3-1 win. 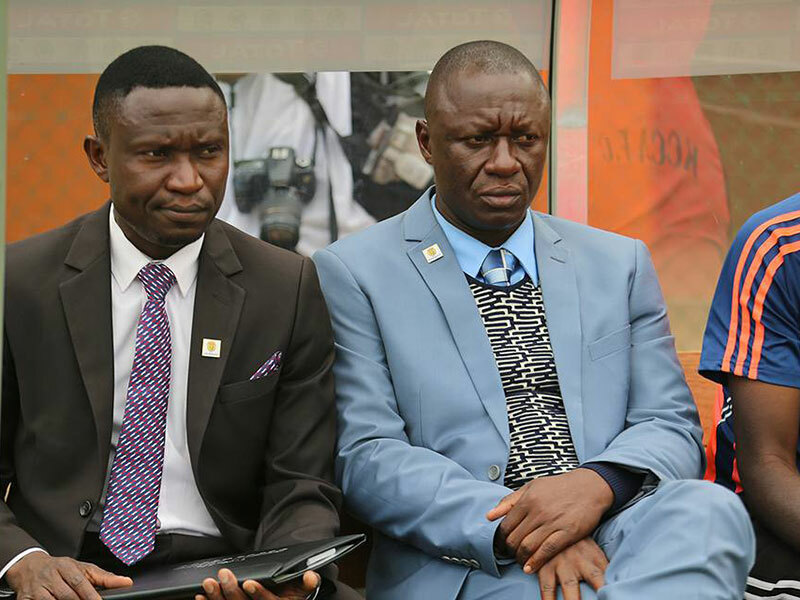 Mutebi’s side had last month showed up in Morocco bereft of ideas as they went down 3-0, and the tactician expected the Moroccans to arrive bristling with confidence, but for that, he had the answer. 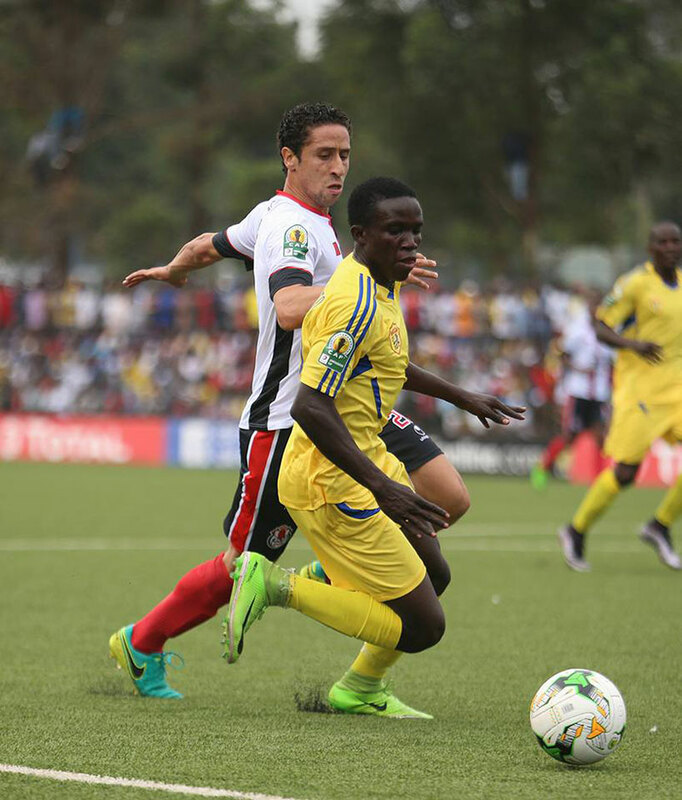 First in his notes was to give debuts to two players, including new club signing Ibrahim Sadam Juma, who has been sitting out Caf engagement as the club awaited the soccer body to rule on his eligibility to play for KCCA in Caf games after his transfer from Express FC at the close of the season. The other player given a debut in the Caf engagement was Jackson Nunda, who has been out on the sidelines since 2015. Poloto gave Jarici hard time on the flanks. The midfield combination of Sadam Juma, Nunda and Muzamiru Mutyaba probed the visitors for opening from the onset with their scintillating runs and fine awareness on the pitch. As the visitors struggled to contain the midfield trio, Julius Poloto’s relentless runs down the right flanks proved more than his marker Yassir Jarici could cope with. With the clock ticking down for the interval, Jarici found himself with the tough decision to make when Poloto galloped into the area. He brought him down. Zimbabwean referee Norman Matemera had little choice but to point to the spot, and talismanic evergreen striker Geoffrey Sserunkuma to open the scoring. The visitors should have returned for the restart knowing KCCA meant serious business. If they did, they so only in mind, their legworks remained more of the same as it was in the first half. KCCA returned looking even more dangerous. 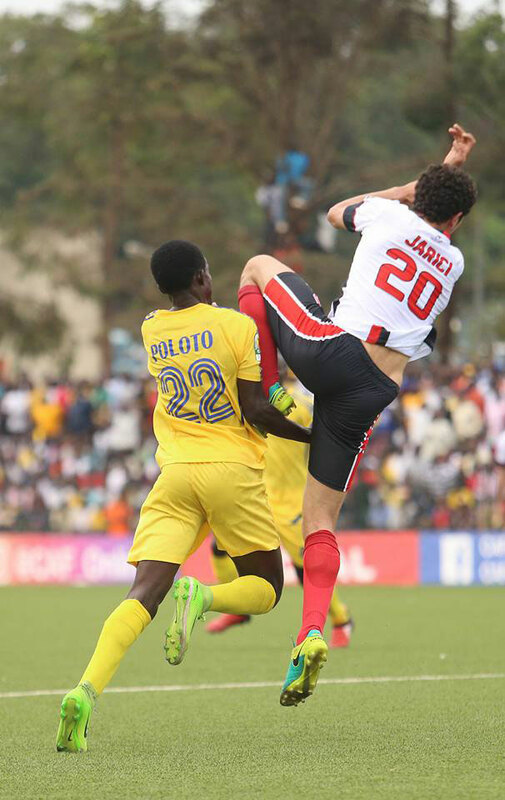 As the visitors hesitated to try and find a way to contain KCCA’s attacks and beat them on the counter, they only gave way to a thumping close range finish from Sadam Juma, the former Express captain sending the packed stadium into wild celebrations with his 52nd minute goal. KCCA were in control, their dream firmly on their sleeves and Mike Mutebi kept the tactical bench conscious of his plans. Eight minutes later, Isaac Muleme ensured that Isaac Lamine Diakite’s 84th minute goal would be nothing more than a consolation when he put the hosts 3-0 and left the result in no doubt. Mutebi’s boys next travel to Tunis to face Club Africain knowing a draw would be more than enough to guarantee their place in the quarter final. And if they cannot get a point in Tunis, a draw between FUS Rabat and Rivers United in Morocco would also favour the Ugandan champions. In Nigeria, Rivers United and Club African both missed key players on Sunday, but the Tunisian side returned home with maximum points courtesy of midfielder Manoubi Haddad’s 69th minute strike and a late own goal from Austin Festus. Club Africain captain Saber Khalifa missed Sunday’s Group A clash at the Yakubu Gowon Stadium due to suspension. The team also missed the services of four other players whose contracts expired end of June when the Tunisian league season closed. For Rivers United, Sunday Rotimi failed to recover from a hamstring injury, while Aliasou Sanou and Emeka Ogbugh were also indisposed. Midfielder Emeka Atuloma completed the drawback for the Nigerian outfits while serving a one-match ban after his booking against KCCA in Port Harcourt last month.